Culinary Physics: How to Store Zucchini Long Term and Keep it Fresh Longer? How to Store Zucchini Long Term and Keep it Fresh Longer? 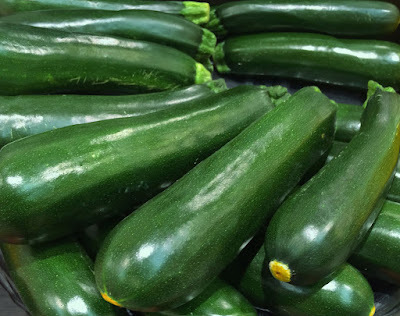 Zucchini is a delicate vegetable that stores well but will become soft, lose its flavor and up to 30% of some of its vitamins and minerals if not stored properly. Zucchini continues to respire even after it has been harvested; its respiration rate at room temperature (68°F/20°C) is 164 mg/kg/hr. Slowing down the respiration rate with proper storage is the key to extending its flavor and nutritional benefits. 1) Place zucchini in a plastic or waxed paper storage bag before refrigerating. My culinary arts teacher found that it is best to wrap the bag tightly around the zucchini, squeezing out as much of the air from the bag as possible. 2) Do not wash zucchini before refrigeration because contact to water will promote zucchini to spoil. 3) Store fresh zucchini in the refrigerator. The colder temperature will decrease the respiration rate, helping to preserve its nutrients and keeping zucchini fresh for a longer period of time. 4) How long does zucchini last in the fridge? Zucchini will remain fresh for up to 10 days when properly stored. Related Video: Summer Squash and Zucchini: How to Store Zucchini?